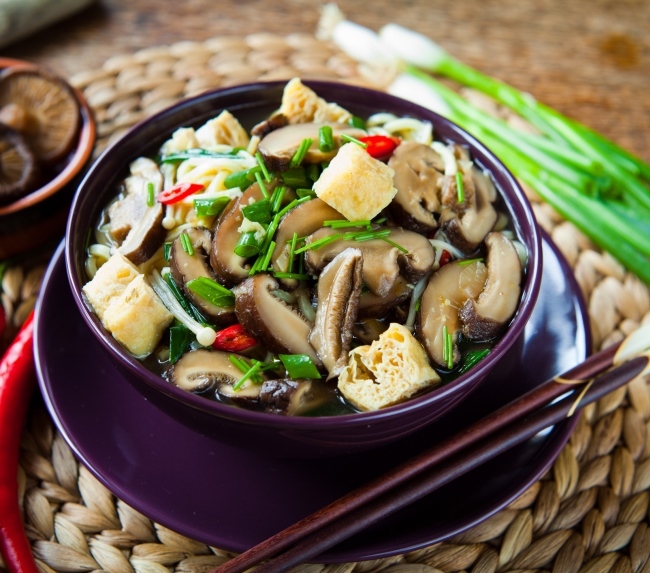 Shiitake mushrooms have medicinal qualities which make them healing when eaten regularly, so let’s get them into our meals in some delicious ways. 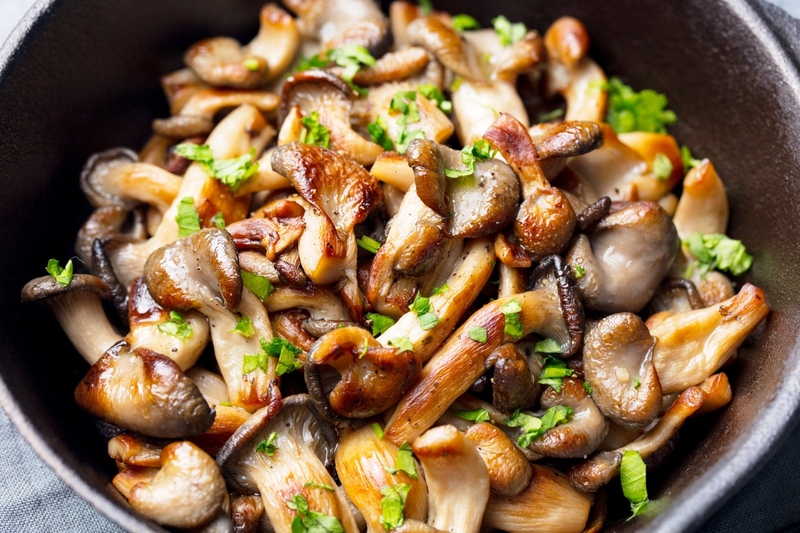 These sautéed shiitake mushrooms are a great addition to a meal. They are a tasty topper for rice, millet or quinoa and only take about 15 minutes to make. This salad is extra delicious with the addition of shiitake mushrooms. A salad a day is a great way to get more vegetables into your diet. Wash and pat dry greens with paper towels or spin dry. Sauté mushrooms and chop cucumber, walnuts and green onions. Now, toss all ingredients with dressing. 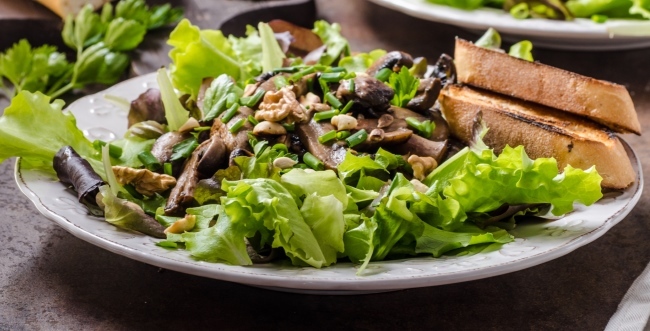 Serve and enjoy your shiitake salad with walnuts. This could be a light lunch or a side at dinnertime. 6. Simmer on medium heat till spinach leaves have wilted. Turn heat off. 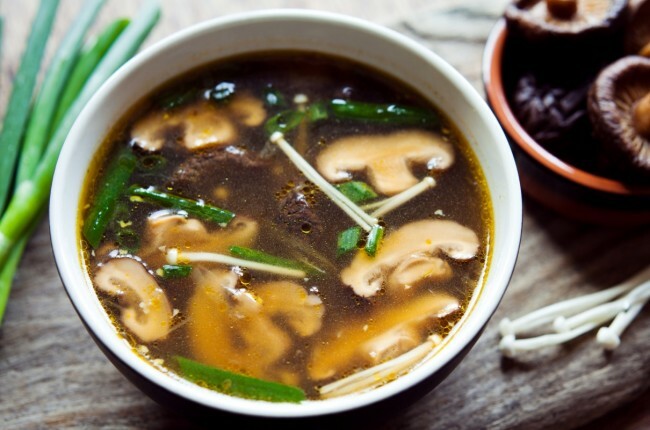 Try this very hearty soup and you can leave out the chili if you do not like spicy soup. Put 4 cups of water into a medium pot and bring to boil. Add in your green onions, chilli, garlic, ginger and tamari, simmer for a few minutes. Now add the mushrooms and continue to simmer. Fry the tofu cubes in the sesame oil, fry until golden brown on all sides. 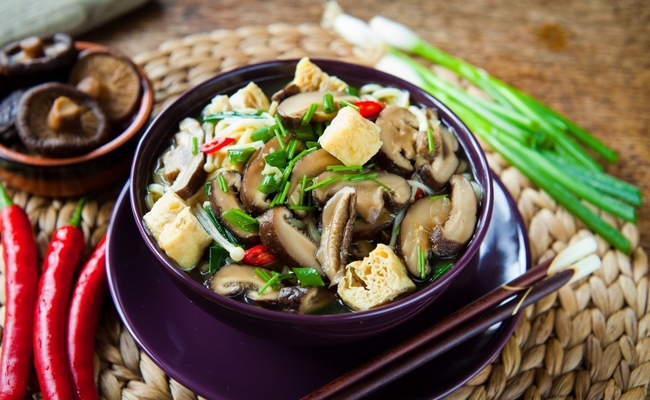 Mix in the tofu and the bit of sesame oil from frying into the soup mixture. Note: you can add bok choy or any other greens that you would like. Very attractive, but I use weight and liquid measurements: I learned them at the primary school.